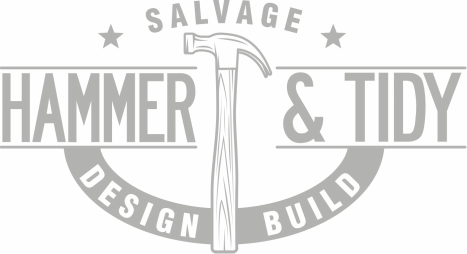 We give salvaged materials a higher purpose through up-cycled products, art and builds we design and deliver. We source as close to the project site as possible to reduce product miles and the impact of shipping on the environment. Our raw materials are often destined for the dump or the incinerator. We mix that with the necessary new materials and hardware to get the job done. We love a challenge! Our notebooks are filled with ideas about how to bring up-cycling into regular practice. It is what we live and breathe. You probably have some thoughts on that, too. Working with our clients to design a solution that brings this aesthetic and practice to light is our passion. We can be the general contractor for your project, and bring in a team of folks that can get it done. We can also be a member of your team, especially if you want to add our experience with, and focus on, salvaged materials and up-cycling. New Tuff Tables in stock! We've just built out a couple of these. Contact us for pricing and custom orders! 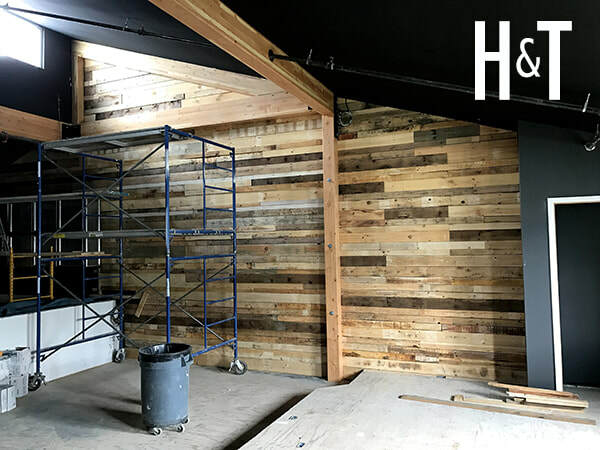 ​This was a recent install of salvaged wood in a Victoria area music studio. Looks good and will have some acoustic dampening qualities when the recording happens.